When you love golf, it's always tee time! Show your love of the best sport on Earth every time you send a letter. Our Golfer Address Stamp features your name and address along with a golfer at the end of his swing to the left. Owning a great stamp like this is par for the course and will make a great addition to your life. Simply enter your name and address information in the boxes below. Choose your customization options from the 4 drop-down boxes, click "Add To Cart" and you're ready to go. This stamp is also ideal for golf pros, driving ranges and golf courses. 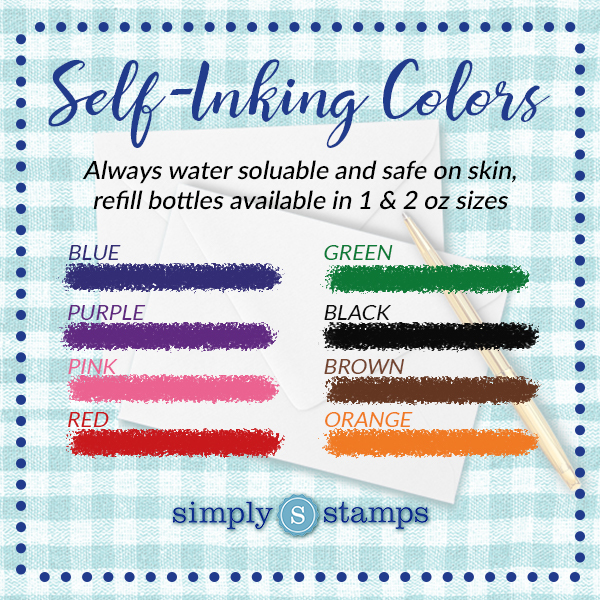 Whenever you send something in the mail, be sure to personalize it with this custom rubber stamp. Standard size is .875" x 2.375" but larger sizes are now available. Golfer Address Stamp Details Time to hit the links! The Golfer Address Stamp is the perfect way to show you love for the game of golf. It includes a silhouette of a golfer hitting a drive next to your name and address in clear, bold modern font. A lovely gift for golfers and the perfect way to accent all your mail with your own special touch. This golf return address stamp is a great choice for golfers, golf stores, clubs, and related businesses. It makes a simple but well-accepted statement on every piece of mail. To customize, just enter your name, address and choose your inking style and options below.